Abbass H.L. (1963). A Monograph on the Egyptian Cretaceous Gastropods. Geological Survey and Mineral Research Department, Monographs of the Geological Museum, Palaeontological Series 2, p. 146 p.
Abdel-Gawad G.I. (1986). Maastrichtian non-cephalopod mollusks (Scaphopoda, Gastropoda and Bivalvia) of the Middle Vistula Valley, central Poland. Acta Geol. Pol. 36 (1–3), 69–224. Arnold, H. (1968), mit Beitr. von Knauff, W.: Das Obercampan des Stemweder Berges und seine Fauna. – Veröff. Überseemus. Bremen, A 3: 273 – 342; Bremen. Atabekyan A.A., Khakimov F.H. (1976). Campanian and Maastrichtian ammonites of the Middle Asia. Dushanbe: Donish. 146 pp. [in Russian]. Baraboshkin E.Y., Alekseev A.S., Kopaevich L.F. (2003). Cretaceous paleogeography of the North-Eastern Peri-Tethys // Palaeogeography, Palaeoclimatology, Palaeoecology. Vol.196, No.1-2. P.177-208, 12 fig., 2 tab. Baron-Szabo, R.C. 1998. A new coral fauna from the Campanian of northern Spain (Torallola village, Prov. Lleida).  Geol. Paläont. Mitt. Innsbruck 23: 127-191. Barrera, E. & Savin, S.M. 1999. Evolution of late Campanian-Maastrichtian marine climates and oceans.  in Barrera, E. & Johnson, C.C. (eds): Evolution of the Cretaceous Ocean-Climate System, Geol. Soc. Am. Special Paper 332: 245-282. Ben-Abdessalam-Mahdaoui S., Benzaggagh M., Bouhlel S., Razgallah S. (2010). Nouvelles données biostratigraphiques sur les niveaux de passage Jurassique-Crétacéet les calcaires du Campanien dans le secteur de Hammam Zriba-Jebel Guebli (Tunisie septentrionale). Geo-Eco-Trop., 2010, 34: 113 - 126. Bilotte M. (1985). - Le Crétacé supérieur des plates-formes est-pyrénéennes. Strata, 2, n° 5, pp. 1-438. Bilotte M. (1994). Faunes d'ammonites et interprétation des successions sédimentaires du Campanien-Maastrichtien sous-pyrénéen Ariège, Haute-Garonne). Réfutation dún modèle fondé sur des âges numériques hypothétiques. Géologie de la France, no. 3, 1994, p. 71-80, 3 fig. Bless M.J.M. (1989). Event-induced changes in Late Cretaceous to Early Paleocene Ostracode assemblages of the SE Netherlands and NE Belgium. Annales de la Société Géologique de Belgique, T. 112 (fascicule 1) - 1989, pp.19-30. Bless M.J.M. and C Fernandez Narvaiza (2000). L'odyssée de l'Euregio Meuse – Rhin. Geological Survey of Belgium, vol. 2000/02 – 291. 118 pag., 38 fig. Böhm J. (1885). Der Grünsand von Aachen und seine Molluskenfauna // Verhandlungen des naturhistorischen Vereins der preussischen Rheinlande, Westfalens und des Reg.-Bezirks Osnabrück. Jg.42 (=Folge 5, Jahr.2). S.1-152. Christensen W.K., Ernst G., Schmid F., Schulz M.-G., Wood C.J. (1975). Belemnitella mucronata mucronata, Schlottheim 1813, from the Upper Campanian. Neotype, biometry, comparisons and biostratigraphy. Geologisches Jahrbuch Reihe A, Allgemeine und regionale Geologie BR Deutschland und Nachbargebiete, Tektonik, Stratigraphie, Paläontologie, Heft 28, p. 27-57. Cobban W.A., Kennedy W.J. (1992). Campanian Trachyscaphites spiniger ammonite fauna in North-East Texas. Palaeontology, Vol. 35, Part 1, 1992, p. 63-93, 8 pls. Cobban W.A., Kennedy W.J. (1994). 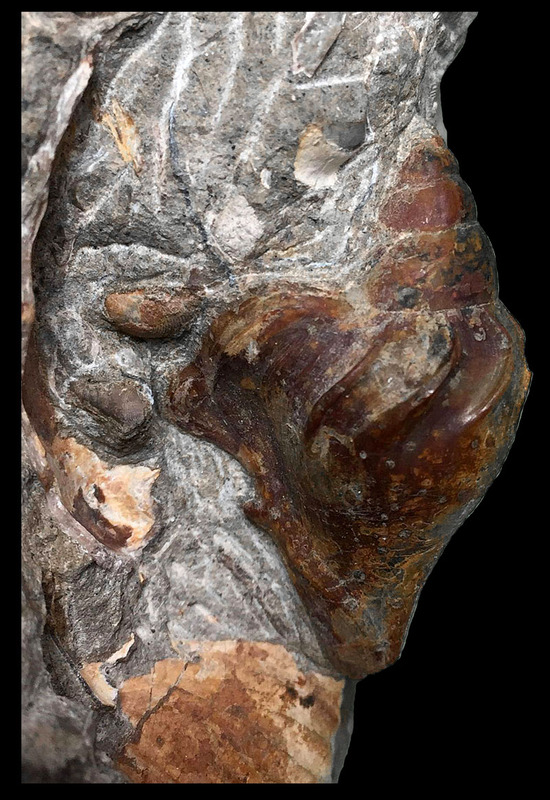 A giant Baculite from the Upper Campanian and Lower Maastrichtian of Western Interior. Shorter Contributions to Paleontology and Stratigraphy. U.S. Geological Survey Bulletin 2073-C.
Cobban W.A., Kennedy W.J. (1994). Middle Campanian (Upper Cretaceous) Ammonites from the Pecan Gap Chalk of Central and Northeastern Texas. Shorter Contributions to Paleontology and Stratigraphy. U.S. Geological Survey Bulletin 2073-D.
Collignon M. (1970) - Contribution to the geology and paleontology of Madagascar. The middle and upper Campanian in the Menabe and its fauna [Ampolipoly-Antsirasira-Behamotra, Ankilizato, Andimaka and Trangahy sections]. Cornee, J.J., G. Tronchetti, M. Villeneuve, B. Lathuiliere, M.C. Janin, P. Saint-Marc, W. Gunawan & H. Samodra (1995)- Cretaceous of eastern and southeastern Sulawesi (Indonesia): new micropaleontological and biostratigraphical data. J. Southeast Asian Earth Sci. 12, p. 41-52. Cunha P.P. & Pena dos Reis R. (1993). The Cretaceous unconformity-bounded sequences (upper Aptian - lower Campanian and upper Campanian -Maastrichtian ?) in the Lousã - Pombal region. Drent J. (1993). Het Campanien van Coesfeld-Flamschen. Grondboor en Hamer nr. 5, 1993, p.122-125. Dufrenoy M. (1833). Note sur la nature de la position géologique du marbre Campan. Annales des Sciences Naturelles, Tome 28, 1833, p. 181-187. Freneix S. (1959). Mollusques fossiles du Crétacé de la côte occidentale d'Afrique du Cameroun à l'Angola. III. Conclusions stratigraphiques et paléontologiques // Annales du Musée royal du Congo belgeTervuren (Belgique). Sér. 8. Sciences géologiques. Vol.24. 126 pp. Gallemi J., Lopéz G, Martínez R., Muñoz J, Pons J.M. (1995). Distribution of some Campanian and Maastrichtian macrofaunas in southeast Spain. Cretaceous Research 16, 1995, p. 257-271. Gallemi J., Lopéz G, Martínez R., Muñoz J, Pons J.M. (1997) - Albian – Cenomanian and Campanian – Maastrichtian biostratigraphy of southeast Spain. Cretaceous Research 18, 1997, p. 355-372. Gameil M., El-Sorogy A.S. (2015). Gastropods from the Campanian–Maastrichtian Aruma Formation, Central Saudi Arabia. Journal of African Earth Sciences 103 (2015) 128–139. Gaspard D. (2002). 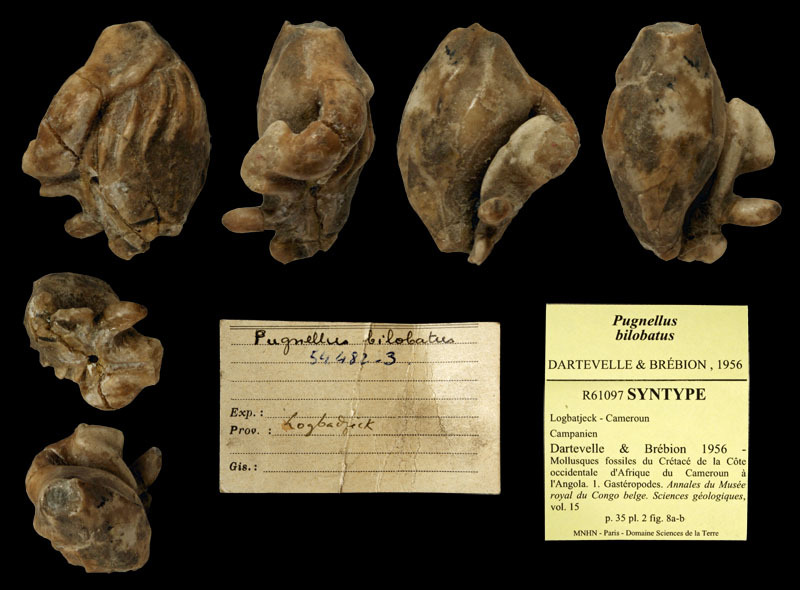 Les Brachiopodes de la craie blanche de Meudon (Campanien supérieur) de la collection d’Orbigny (MNHN, Paris). Palevol 1 (2002) 573–585. Académie des sciences / Éditions scientifiques et médicales Elsevier SAS. Hofker J. (1957). Foraminiferen der Oberkreide von Nordwestdeutschland und Holland // Beihefte zum Geologischen Jahrbuch. Hft.27. 464 S.
Ilyin V.D. (2000). Upper Cretaceous ammonites of the central regions of Middle Asia // Bulletin CF VNIGNI. no.4. 157*Ismail A.A., Hussein-Kamel Y., Boukhary M. & Ghandour A.A.A. (2007). Campanian–Early Eocene Stratigraphy of the Southern Galala Plateau, Eastern Desert, Egypt. Geologia Croatica 60/2, 2007, p. 115–137, 11 Figs. 4 Pls. Jones D.L. (1963). Upper Cretaceous (Campanian and Maestrichtian) ammonites from southern Alaska. U.S. Geological Survey. Professional paper 432), 1963. Kaplan, U. Kennedy, W.J. & Hiß, M. 2005. Stratigraphie und Ammonitenfaunen des Campan im nordwestlichen und zentralen Münsterland; Geologie und Paläontologie in Westfalen 641-176. Kaplan, U.; Röper, M. (1997): Das Campan der Dammer Oberkreide-Mulde unter besonderer Berücksichtigung des Stemweder Berges, NW-Deutschland. – Geol. Paläont. Westf., 50: 7 – 30; Münster. Kennedy W.J. (1986). The Campanian-Maastrichtian ammonite sequence in the environs of Maastricht (Limburg, the Netherlands), Limburg and Liège provinces (Belgium). Newsletters on Stratigraphy 1986 16(3), p. 149-168, 10 figs. Kennedy W.J. & Bilotte M. (1995). A new Ammonite fauna from the Sub-Pyrenean Campanian (Upper Cretaceous). Geobios, 28, 3 : 359-370. Kennedy W.J., Cobban W.A., Landman N.H. (1997). Campanian ammonites from the Tombigbee Sand Member of the Eutaw Formation, the Mooreville Formation, and the Basal Part of the Demopolis Formation in Mississippi and Alabama. Novitates Number 3201, 1997, 44 pp., 24 figures, 1 table. Kennedy W.J., Landman N.H., Cobban W.A., Scott G.R. (2000). Late Campanian (Cretaceous) heteromorph ammonites from the Western interior of the United States. Bulletin of the American Museum of Natural History number 251, 2000, 88 pages, 67 figures, 1 table. Kennedy W.J., Jagt W.J.M., Hanna S.S. and Schulp A.S. (2000). Late Campanian ammonites from the Saiwan area (Huqf Desert, Sultanate of Oman). Cretaceous Research (2000) 21, 553–562. Kennedy W.J., Lunn G. (2000). Upper Campanian (Cretaceous) ammonites from the Shinarish Formation, Djebel Sinjar, northwest Iraq. Khakimov F.H. (1972). Campanian Scaphitidae of south-western Tadzhikistan // Lithology and stratigraphy of oil-and-gas bearing units of Tadzhik depreassion. Dushanbe: Donish. P. 156-161. Kiel S. & Bandel K. (2001). About Heterostropha (Gastropoda) of the Campanian of Torallola, Spain. Journal of the Czech Geological Society 46/3-4 (2001), p. 334, 3 pls. Küchler T. & Klitz A. (1989). Biostratigraphie des Campan bis Unter-Maastricht der E-Barranca und des Urdiroz/Imiscoz-Gebietes (Navarra, N-Spanien) [Campanian - Lower Maastrichtian Biostratigraphy of the E Barranca and the Urdiroz/Imiscoz Area (Navarra, N Spain)]. In: Wiedmann J. (Ed. ), Cretaceous of the Western Tethys. Proceedings 3rd International Cretaceous Symposium, Tübingen 1987, pp. 191-213. Lebedeva N.K. (2006). Dinocyst Biostratigraphy of the Upper Cretaceous of Northern Siberia // Paleontological Journal, 2006, Vol. 40, Suppl. 5, pp. S604–S621. Leongard N.I. (1971). Campanian-Maastrichtian boundary in the south-east of the Russian Platform (in Russian). Lipnik O.S. (1961). Foraminifera and stratigraphy of the Upper Cretaceous deposits of Dnepr-Donets depression // Trans. Inst. Geol. Sciences. Ser. stratigr. and paleont. Issue 35. 65 p.
Matsumoto T & Miyauchi T (1984). Some Ammonites from the Campanian (Upper Cretaceous) of Northern Hokkaido. Palaeontological Society of Japan, Special Papers No. 27. McLachlan S.M.S. & Haggart J.W. (2017). Reassessment of the late Campanian (Late Cretaceous) heteromorph ammonite fauna from Hornby Island, British Columbia, with implications for the taxonomy of the Diplomoceratidae and Nostoceratidae, Journal of Systematic Palaeontology, 16:15, 1247-129. Müller, G. 1888. Beiträge zur Kenntnis der oberen Kreide am nördlichen Harzrande. Jb. Preuss. Geol. Landesanstalt (1887), pp. 372-456. Khomentovsky O.V., Zakharov V.A., Lebedeva N.K., Vorobieva O.I. (1999). Santonian-Campanian boundary on the north of Siberia. Navarrete-Parra R.E., Parra F.J., Pérez Panera J.P., Daza D., Sánchez C.,Prince M. & Rodriguez M. (2019). Turonian-Campanian Foraminifera Zonation for the La Luna and Lower Umir Formations, Middle Magdalena Valley Basin, Northern Colombia. Selected Papers of the 11th Argentine Paleontological Congress. Niebuhr, B. 1996. Die Scaphiten (Ammonoidea, Ancyloceratina) des höheren Obercampan der Lehrter Westmulde östlich Hannover (N-Deutschland). Berliner geowiss. Abh. 18,267-287. Odin G.S. & Odin P. (1994). Première description d’une coupe dans la localité aturienne de Tercis (Landis): contribution à l’étude de la limite Campanien-Maastrichtien. Géologie de la France, n° 2, 1994, pp. 31-37, 2 fig. Oosterink H. (2002). Fossielen uit tijdelijke ontsluitingen in het Campanien van Coesfeld en omgeving. Grondboor & Hamer 2002, No. 4a, p. 97-121. Orabi O.H. & Khalil H. (2012) - Late Campanian/Maastrichtian boundary at West-Central Sinai, Egypt. Al-Azhar Bull. Sci. (8Th L.S.C). (March, 2012): pp. 1-28. Ovechkina M.N. (2007). Upper Cretaceous (Campanian and Maastrichtian) calcareous nannoplancton of south and east of the Russian Platform // Transactions of the Palaontological Institute of RAS. Vol.288. Moscow: Nauka. 352 p.
Pervushov Е.M., Seltser V.B., Benyamovskiy V.N., Aleksandrova G.N., Kalyakin Е.А., Vishnevskaya V.S., Kopaevich L.F., Аkhlestina Е.F., Оvechkina М.N. (2015). Biostratigraphic subdivision of Kokurino section (Saratov region) and some aspects of Campanian stratigraphy in Middle Volga // Bull. Soc. Nature. Moscow, sect. geol. Vol.90. issue 2. P.51-84. Raffi M.E. & Olivero E.B. (2016). The ammonite genus Gaudryceras from the Santonian–Campanian of Antarctica: systematics and biostratigraphy. Ameghiniana 53: 375–396. Slattery, J.S., Harries, P.J., & Sandness, A.L. (2012). A review of Late Cretaceous (Campanian and Maastrichtian) heteromorphic ammonite paleobiology, paleoecology, and diversity in the Western Interior of North America: In J.P. Cavigelli (editor), Invertebrates: spineless wonders, 18th Annual Tate Conference. Casper, WY: Tate Geological Museum, Casper College, pg. 76-93. Souquet P. & Fondecave-Wallez M.J. (1995). Observations à la note de M. Bilotte. Mise au point et données nouvelles sur l’organisation séquentelle, la biostratigraphie et la grade-datation dans le Campanien-Maastrichtien sous-pyrénéen (Ariège, Haute-Garonne). Géologie de la France, n° 4,1995, pp. 51-60, 3 fig. Surlyk F.,Lil Rasmussen S., Boussaha M., Schiøler P., Schovsbo N.H., Sheldon E., Stemmerik L., Thibault. (2013). Upper Campanian-Maastrichtian holostratigraphy of the eastern Danish Basin. Cretaceous Research 46 (2013) 232-256. Walaszczyk I., Odin G.S. & Dhondt A.V. (2002). Inoceramids from the Upper Campanian and Lower Maastrichtian of the Tercis section (SW France), the Global Stratotype Section and Point for the Campanian – Maastrichtian boundary; taxonomy, biostratigraphy and correlation potential. Acta Geologica Polonica, Vol. 52 (2002), No. 3, pp. 269-305. Wolfgring E., Wagreich M. Dinarès-Turell J., Gier S., Böhm K., Sames B., Spötl C., Popp F. (2018). The Santonian–Campanian boundary and the end of the Long Cretaceous Normal Polarity-Chron: Isotope and plankton stratigraphy of a pelagic reference section in the NW Tethys (Austria). Newsletters on Stratigraphy, May 2018. Woods M.A. (2018). Geophysical log characterization of the Flamborough Chalk Formation (Late Cretaceous, Santonian – Early Campanian), East Yorkshire, UK: implications for understanding the onshore and offshore occurrence of the Late Campanian Rowe Chalk Formation.